Sir Kenneth Corfield, the founder of renowned British camera maker K G Corfield, has died aged 91. Kenneth Corfield will perhaps be best remembered in photographic circles for the Periflex camera, which debuted in 1953 as an interchangeable-lens 35mm camera with an unusual through-the-lens periscope reflex rangefinder. Later models to challenge strong 35mm competition from Germany included the Periflex Interplan from 1961, which dispensed with the periscope mechanism. Kenneth will also be remembered for a distinguished career, which led to his chairmanship of Standard Telephones & Cables. He was awarded a Knighthood for services to export in 1980. Paying tribute, Michael Pritchard, director general of the Royal Photographic Society, told Amateur Photographer: ‘I first met Sir Ken in the 1980s, when he would attend the camera auctions at Christie’s. Kenneth’s Wolverhampton-based company moved to Ireland in 1959, but ceased production in late 1961. Although the firm shut up shop in 1971, that was not the end of the road for Corfield cameras. Kenneth reformed the company in the 1980s and went on to design a new architectural camera called the Corfield WA 67. Few people had as much an impact on the British photographic industry as Kenneth, according to Linhof Studio, an Essex-based photographic supplier. 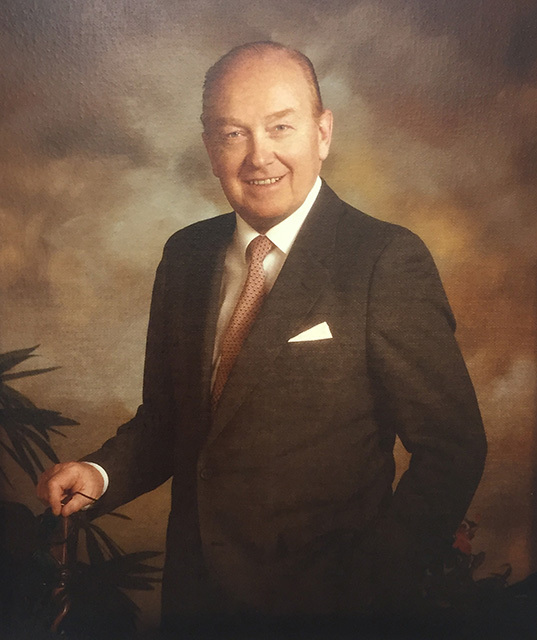 Managing director Paula Pell-Johnson said: ‘I was 19 years old when I first met Sir Kenneth. He walked into our small showroom in London WC1 and purchased a Linhof camera. ‘Our friendship was formed and after losing my father when I was in my early 20s, Sir Kenneth became my “go-to” person for all things business. ‘He was the most generous person with his time and knowledge, and I was both privileged and blessed to have had such a mentor. ‘Our lunches together and with work friends will always be remembered fondly. But my favourite times were our regular chats over coffee in his offices, discussing new technology and the ever-changing face of the photographic industry. Born on 27 January 1924, Kenneth first became interested in photography aged 10 when he acquired a Kodak box Brownie, according to The Corfield Story, written by Bev Parker. ‘Photography became his hobby, but a schoolboy’s pocket money didn’t go very far so he built his own enlarger, mixed his own processing chemicals and used out-of-date government surplus photographic paper,’ adds the article, posted on www.corfield.org. After joining Walsall Photographic Society Kenneth won first prize for a photo of roses, aged just 16. Kenneth would continue working from London offices until he was 85. Pritchard added: ‘Sir Ken was always friendly and helpful, and willing to answer questions on his cameras. ‘He remained fascinated by camera technology long after the final Corfield camera was sold and combined his technical background with that of a historian to great effect. In 1961, the Corfield 66 medium-format SLR emerged, of which only 300 were reportedly produced. Kenneth died on 11 January.